BAGHDAD — In the Iraqi government’s fight to subdue the Shiite militia of Muqtada al-Sadr in the southern city of Basra, perhaps nothing reveals the complexities of the Iraq conflict more starkly than this: Iran and the United States find themselves on the same side. The causes of this convergence boil down to the logic of self-interest, although it is logic in a place where even the most basic reasoning refuses to proceed in a straight line. In essence, though, the calculation by the United States is that it must back the government it helped to create and take the steps needed to protect U.S. troops and civilian officials. Iranian motivations appear to hinge on the possibility that al-Sadr’s political and military followers could gain power in provincial elections, now scheduled for this fall, and disrupt the creation of a large semi-autonomous region in southern Iraq that the Iranians see as beneficial. The American-Iranian convergence is all the more remarkable because of mutual animosity. The United States says that Iran has backed thousands of attacks on U.S. troops in Iraq, bitterly opposes Iran’s nuclear program and has not ruled out military action if Iranian policies do not change. But both sides are adamant on the issue of countering al-Sadr, one of Iraq’s most powerful Shiite clerics. As Iraqi government soldiers took control of the last areas of Basra from al-Sadr’s militia on Saturday, concluding a monthlong effort, Iran’s ambassador to Iraq, Hassan Kazemi Qumi, took the unusual step of expressing strong support for the government’s position and described al-Sadr’s fighters as outlaws. When it comes to which Shiite Iran and the United States want to see in power, at least for now they largely see al-Sadr’s ascendance as a common threat — but nowhere more so than in Basra, the oil-rich capital of Iraq’s most populous region, the Shiite south. Although there are many groups in Iraq — Shiite and Sunni, Turkmen and Kurd — it is a majority Shiite country and in the end the geopolitical calculus of the United States and Iran has to do with what kind of Shiite government they want in control here. The party that both Iran and the United States are backing, the Islamic Supreme Iraqi Council, a bitter rival of al-Sadr’s movement, has managed to play to the interests of both countries. Under Iraq’s constitution, provinces can form regions with considerable independence from Baghdad. The Supreme Council advocates a large, semi-autonomous region in the south, similar to Kurdistan in the north, comprising the nine southern provinces. And because many of the council’s leaders lived in exile in Iran during the rule of Saddam Hussein, Iran has political ties to the group. Coupled with Iran’s shared Shiite heritage, the prospect of such a region would amplify Iran’s influence over the oil-rich area. The American backing of the Supreme Council comes in part because its armed wing, called the Badr Organization, has never confronted U.S. troops. The same cannot be said of al-Sadr’s militia, the Mahdi Army, which the United States believes is behind some of the most sophisticated and deadly attacks on American troops. Secondly, the Americans have treated the Supreme Council as an ally from the beginning of the fight against Saddam Hussein, guaranteeing its members safe passage when they returned from Iran and making them charter members of Iraq’s first governing body after the fall of Saddam’s regime after the U.S.-led invasion. But the position of the United States could have some damaging unintended consequences. It could push America further into the vortex of an intra-Shiite political struggle and could lead to the creation of a large, Iranian-influenced region in southern Iraq. From the point of view of Iraqis, the battle is in part a political one over how the balance of power will change province by province and ward by ward in upcoming elections. The prize is control of provincial councils, which have significant budgets, jobs and local power. During the elections in 2005, in most southern provinces al-Sadr’s supporters did not vote, so that despite having grass-roots support they were not represented on local governing bodies. But the Supreme Council encouraged its followers to go to the polls and they dominated even in places where their supporters made up a comparatively small percentage of the electorate. 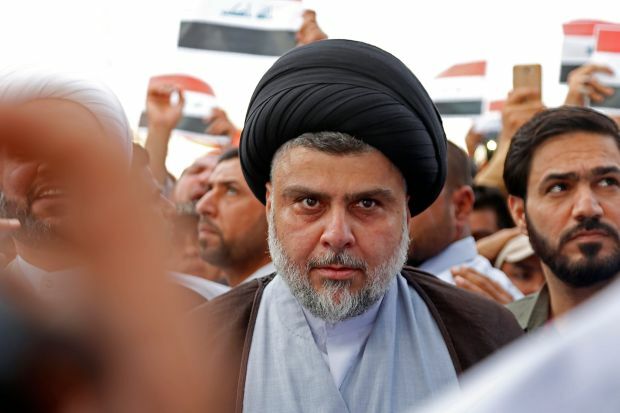 If al-Sadr’s movement participates in the next elections scheduled for October, they are sure to do better than they did when they did not field candidates and the Supreme Council is likely to lose some of its power. For instance, in Dhi Qar province, south of Najaf, the Sadr movement fielded few candidates and did not vote in great numbers in the 2005 election; the Supreme Council was able to dominate the council and control the governorship. In contrast, just to the southeast, in Amara province, where the Sadr bloc did participate, it won the largest number of seats and controls the governorship. While Sadrists are unlikely to win outright in many places, they are certain to gain influence and potentially stymie efforts by the council to encourage the formation of a region and close ties with Iran. The fight in Basra and elsewhere in the south, which appears to have weakened the Sadrist movement, is also a way to make it more difficult for the organization to use its militia to coerce voters for their support and intimidate political rivals. In turn, that puts the Supreme Council in a better political position to retain power since its armed wing is well entrenched, having held positions in the police and army for years. There, Iraqi and American forces are trying to oust essentially the same Mahdi fighters who were stalking the streets in Basra. And the stakes for the Americans are even higher, because the Mahdi has been using parts of Sadr City and its surroundings as a launch pad for rockets aimed at American and Iraqi government offices in the Green Zone a few miles away. But there is at least one crucial difference from Basra: In Sadr City, U.S. troops are playing a much bigger role in the battle. For the Iranians, who have consistently opposed the American presence here, that difference comes with consequences. Iran stridently opposes the operation against the Mahdi Army in Sadr City.